We are a family owned and run dealership that specialises in providing well priced cars with the very best customer service. All our vehicles are provided with a written warranty and are presented in the very best possible condition. We only buy cars that we would own ourselves and our passion for all things automotive is obvious when you make contact with us. 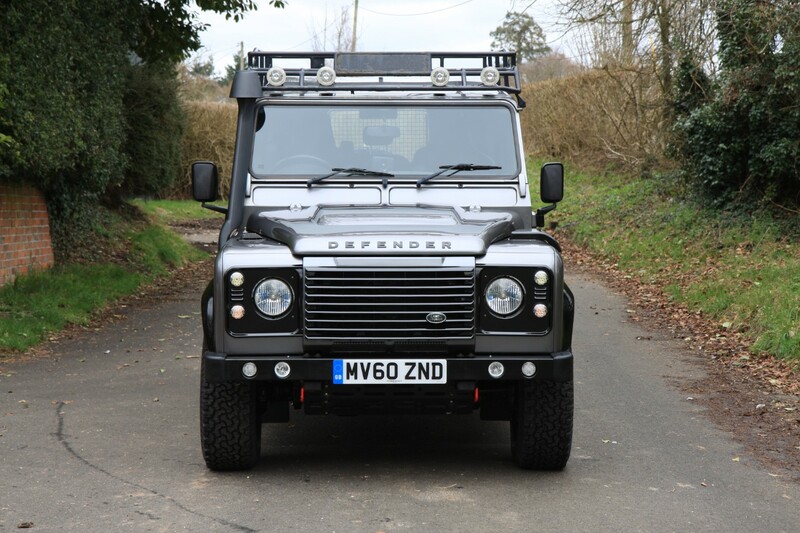 We love a Defender, but we especially love Defenders that look like this one. A wonderful example presented in immaculate condition and one not to miss for the true Landy fans! Click here to view our wide range of available vehicles. Remember if you cannot find what you are looking for then we can source you the perfect vehicle from our many contacts within the industry. If you have any questions in regard to Black Barn Automotive or the services we provide please do give us a call or send us an email. A little bit of background information on our experience in the industry and what we try to do to make the buying and selling process as simple as possible. Browse through the cars most recently added to our showroom.